If you’ve been injured while working as a private overseas military contractor, the Defense Base Act (DBA) applies to you. 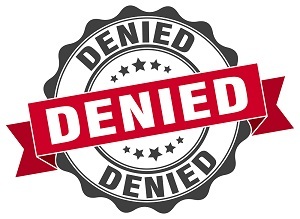 Unfortunately, your DBA claim may be rejected, even though your injuries are real. There is insufficient evidence to support the claim. DBA filing deadlines have been missed. The employer or insurance company simply doesn’t want to pay. File a claim. Your attorney can file your claim with the U.S. Department of Labor, Office of Workers’ Compensation Programs (OWCP) within one year of the incident. Your claim must include Form LS-203, Employee’s Claim for Compensation. Request an informal conference. This is the initial administrative hearing at your region’s OWCP, where you will try to convince the U.S. Department of Labor to find in your favor. Negotiate with the insurance company. Your attorney may attempt to convince the insurance company representative or lawyer to provide your denied benefits without going to trial. Request a trial. If your attorney can’t convince the insurance company to provide your benefits, his next step may be to request a trial before the Office of Administrative Law Judges. He can call witnesses to testify on your behalf, and most trials only last for a day or two. Appeal an unfavorable decision. If you lose at trial, you can appeal the decision to the Benefits Review Board. If that fails, your attorney can take your case to the U.S. Court of Appeals. If you’re a civilian who has sustained injuries while working overseas, you may be entitled to compensation under the Defense Base Act. When your DBA benefits have been wrongfully denied, you need an attorney you can count on to protect your rights. To learn more about what the law offices of Steve M. Lee, P.C., can do for you, visit us on Facebook. What can I do if my workers’ comp claim was denied? Should I accept my employer’s workers’ compensation settlement offer or stick with the scheduled payments?